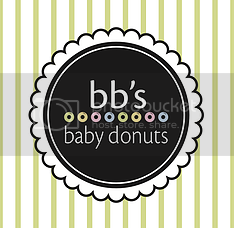 Tales of The Baby Donut: WILL BIKE FOR DONUTS! Let me introduce you to my biker friends! These gentleman (and occasionally women!) 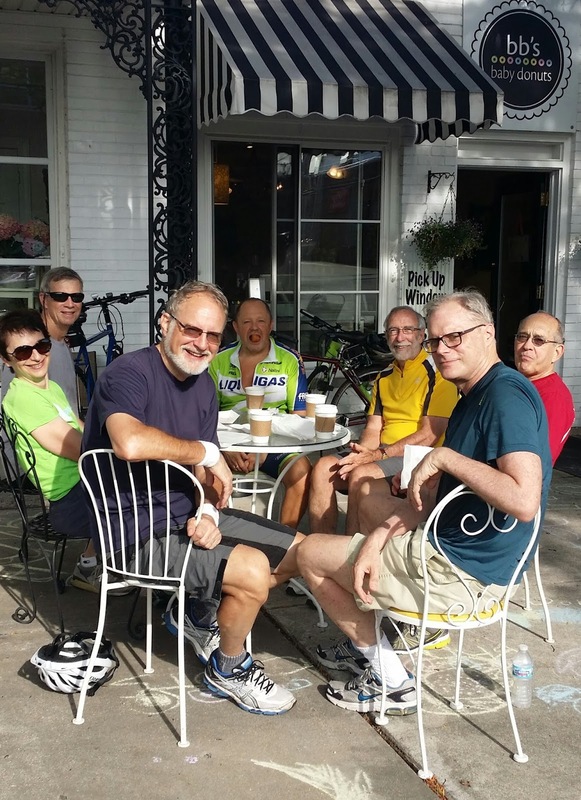 ride their bikes from Oak Park to BB's to have donuts and coffee on Friday mornings. They are so fun, and if I (Debbie, the Donut Lady) had more time, I would share a delightful story about the first time we met them. If I remember correctly, Paul (in the red) brought his friends and they have been coming almost every Friday morning since. I look forward to serving them and talking and laughing about the things they bring to the table. I wanted to share this photo of them and thank them for their business but mostly their friendship. Oh and by the way, blessings to you Jim (in the green and purple) on your new life venture! Posted by Unknown at 9:20 AM Labels: around the shop, our customers, summer, thank you!